Caleb Cain Marcus, Fox, New Zealand, Plate IV. NEW YORK, NY.- Damiani announced a new monograph of color photographs by Caleb Cain Marcus, entitled A Portrait of Ice. Three images from the series have been acquired by the Metropolitan Museum of Art in New York. The book will be released on September 30th. This is the artists second monograph in collaboration with Damiani. 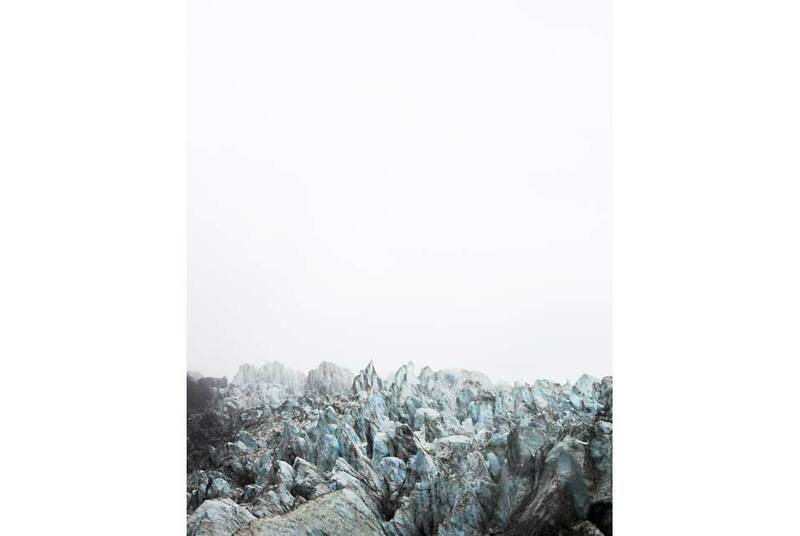 Caleb Cain Marcuss new series, A Portrait of Ice, depicts the glaciers of Patagonia, Iceland, Norway, New Zealand and Alaska. The essays are by curator and critic Marvin Heiferman and Robin Bell, a senior researcher at Columbia Universitys Lamont-Doherty Earth Observatory. Caleb Cain Marcuss work is held in the permanent collections of the Metropolitan Museum of Art, Museum of Fine Arts Houston, High Museum of Art, Center for Creative Photography and George Eastman House, among others. Cain Marcus was born in Colorado and currently lives and works in New York City. N.C. Museum of History opens "Real to Reel: The Making of Gone with the Wind"